Get Your Red-Hot Dragons! And Supernovas! Hot Hot Hot! 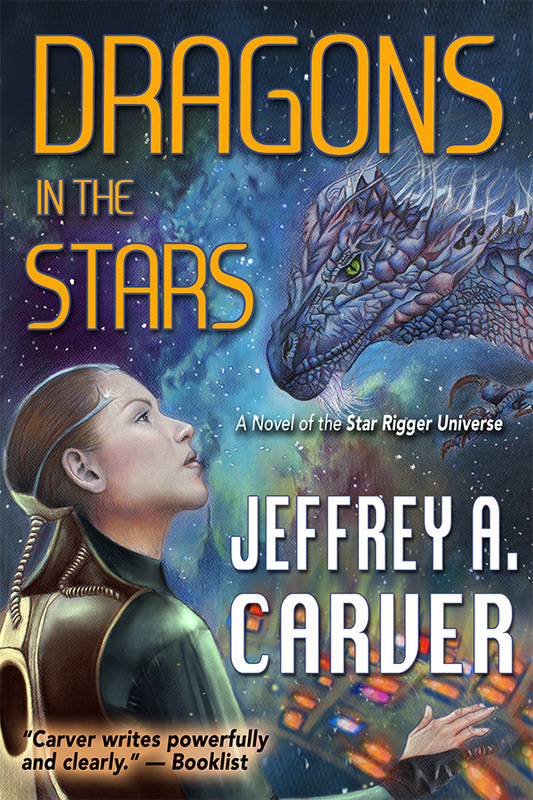 For dragon lovers, or anyone wanting to dive more deeply into the Star Rigger Universe, I offer Dragons in the Stars! How much? Ninety-nine coppers, or a single George Washington, keep the change! That’s way less than a good cup of coffee. For a very limited time, this is, so don’t delay. For lovers of hard SF, with layers of big cosmic stuff interwoven with nanotech and AI, not to mention interesting characters, I offer From a Changeling Star! How much? This one’s a single George Washington plus ninety-nine coppers. Still less than a cup of coffee! Think of this: the more copies you buy, the more you save! I didn’t set out intending to do two at once, but that’s how my Bookbub and Fussy Librarian promos, respectively, shook out. So I’m riding the tiger. Just for a few days, on this one. NaNoWriMo (National Novel Writing Month) for 2015 is coming up, and I imagine there are a lot of writers who would enjoy another good book on writing or two. Or five. Or how about twenty-five, all in one bundle? It’s a great collection—and no, I’m not part of it. BVC is delighted to be included in StoryBundle’s 2015 NaNoWriMo Writing Tools Bundle. Not only is our Brewing Fine Fiction anthology part of the bundle, so are two additional guides by BVC members: Writing Horses by Judith Tarr and Writing Fight Scenes by Marie Brennan. Never heard of StoryBundle? It’s where you can get fantastic ebooks at one low pay-what-you-want price. DRM-free means you can read them on just about all the devices you own, no matter who makes it. Pay the minimum $5 and get Brewing Fine Fiction plus five other great titles. Beat the bonus price ($13), and get seven more books including Writing Horses and Writing Fight Scenes. Opt into the 2nd tier bonus ($25) and get the 2014 NaNoWriMo bundle as well, for a total of twenty-five fantastic writing books! Plus Bundle buyers have a chance to donate a portion of their proceeds to charity. National Novel Writing Month happens every November. Thousands of writers all over the world take up the challenge to produce a novel in a month. Here, to get you ramped up for the marathon, I’ve curated a baker’s dozen of instructional books on all aspects of writing, from craft, to productivity, to business, to career advice, to specific areas of expertise. Presenting, for the second year in a row, the NaNoWriMo Writing Tools StoryBundle: a massive batch of useful books that will help you survive—and thrive—during National Novel Writing Month—the full spectrum of useful information. You name your own price, whatever you feel this batch of books is worth, and part of the money you pay goes to help the supportive non-profit NaNoWriMo organization. I put together these books from the general to the specific, a treasure chest of books vital to your success—not only in writing your novel but in launching your long-term career as a successful writer. This is a toolkit, a drill sergeant, a mentor, and a cheerleading section, all in one. For complete details and to pick up your bundle, visit 2015 NaNoWriMo Writing Tools Bundle. Me again. I picked up my bundle last night. Limited time offer. What are you waiting for? Dragons Fly Free in Dragon Rigger! 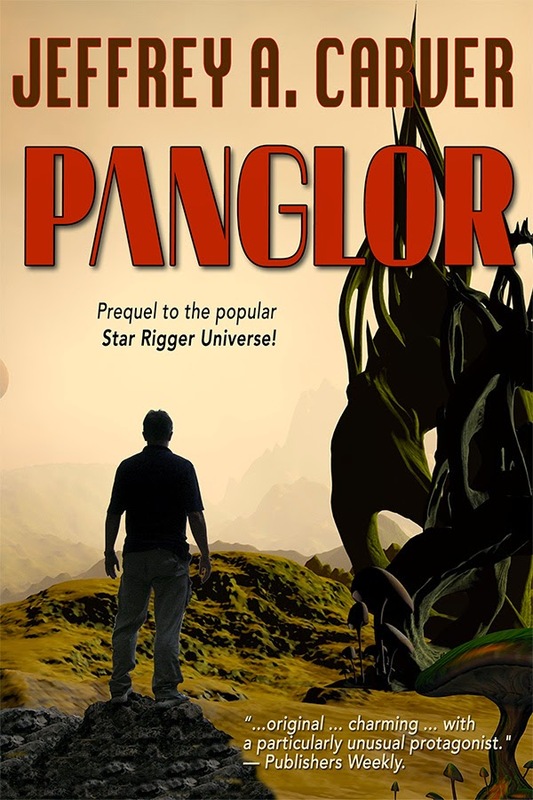 My novel Dragon Rigger, sequel to Dragons in the Stars, has been unavailable as a stand-alone book for over a year now. No more! My new edition has just gone up in all the stores, with a new cover and all-new formatting. Dragon Rigger continues the story of Jael and the dragons she met in Dragons in the Stars, but much of this book is the dragons’ stories more than hers, and much of the book is told from the viewpoints of fire-breathing lizards. It’s not fantasy, though, except in the broadest sense. It’s science fiction, with a mythical and fantasy feel, set in a universe of interstellar travel. It’s a book I’m particularly proud of, even if it didn’t gain its full audience in its original print publication from Tor. The ebook audience seems to like it. A realm at war. The star dragons struggle under the oppression of a terrible power, one that’s intent upon twisting spacetime itself into a web of subjugation and death. According to prophecy, One will come from outside to challenge the darkness. Star pilot Jael may be that One. But if the prophecy is true, the price of victory over the darkness will be Jael’s own life. 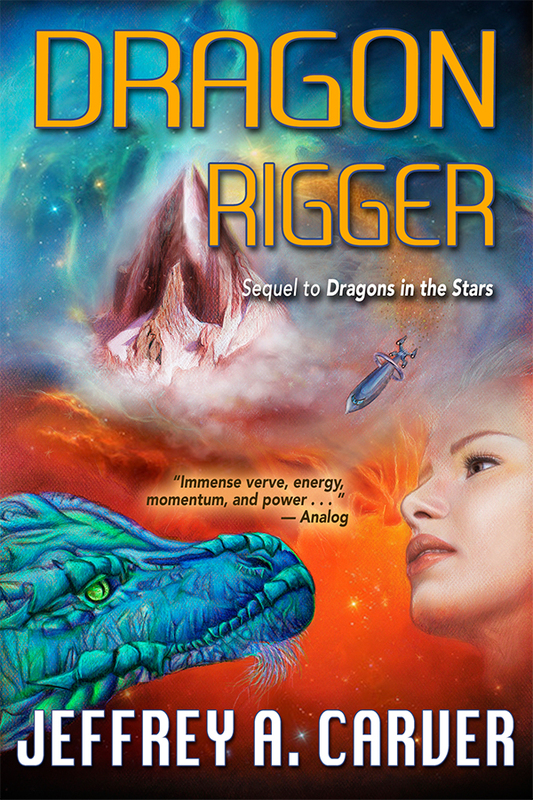 Truth in advertising note: Dragon Rigger is part of the boxed set Dragon Space: A Star Rigger Omnibus. If you have that, you only need this edition if you’re a complete collector. Download it and fly free with the dragons and the ifflings! Thar Be Dragons in Them Stars!! Arrr! I was deliberately blending the genres of SF and fantasy, and that presented both writing challenges and marketing challenges. My editor was all for it, but my agent was a little skeptical. They were both right. The final book was one I liked a lot, and would have wanted to read, if I hadn’t written it myself. But marketing it, and especially the sequel, which ventured even further into mythic fantasy territory, was a tougher sell than my other work. But that was then, and this is now. You don’t have to pay attention to any of that. It’s a story I’m glad to have told, and whether you already own it or are just hearing of it for the first time, I hope it’s one you enjoy. *To folks who’ve recently bought Dragon Space: Some typographical issues with the recently revamped edition have come to light. I expect to have a corrected version up by sometime next week. 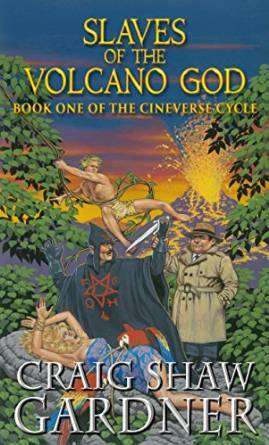 The series starts with Slaves of the Volcano Gods. But honestly, the best title of the bunch (and really, one of the best titles in all of literature) is the third book, Revenge of the Fluffy Bunnies. Slaves is where you start, though, with Roger’s life changing forever with his discovery of the secret decoder ring that unlocks the parallel universes of B-movies! And pits his destiny against that of the grand Plotmaster! 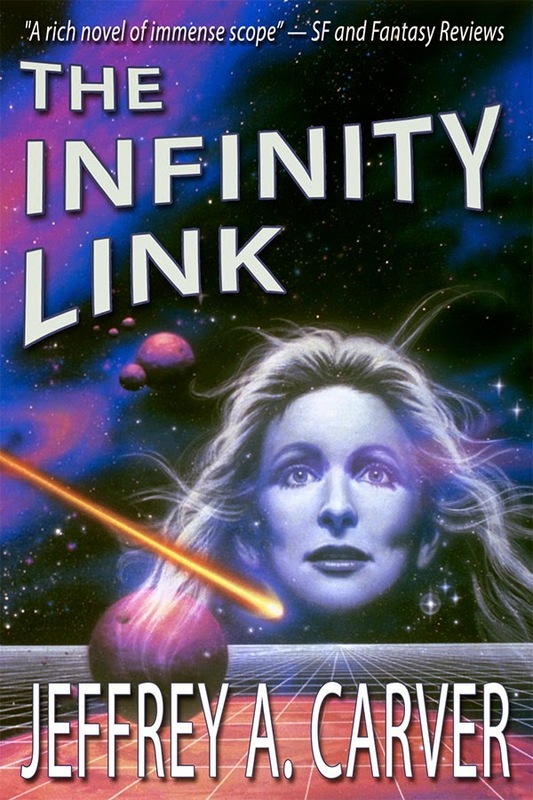 The Infinity Link for the Price of a Buck! It’s been over a month since I’ve had a big book sale, and let me tell you, it shows in the sales numbers. Jeez, people, don’t you ever buy anything that’s not on sale? I don’t mean you people, of course. Of course you’ve been buying my books, and bless you! No, I mean all those other people who have been choosing to spend their money on—I don’t know what, shoes for their kids, or cocaine, or other people’s books. Enough of that, I say. Anyway, here’s what it looks like, with a lovely cover by David B. Mattingly. And right below are the places where—for a limited time only!—you can get your ebook for just $.99. As I never tire of telling the world, that’s way less than a cup of coffee, for reading pleasure that will last long after those gritty coffee dregs grow cold. Act now! In the latest bold stroke of my continuing campaign to take over the world, I have just released an all-new edition of my very first novel of the Star Rigger Universe, Seas of Ernathe. Eat your hearts out, Lee Child and George R.R. Martin! Okay, I guess it’s not all new, in the sense that the words are the same, give or take a few corrections, as the book I wrote quite a few years ago. 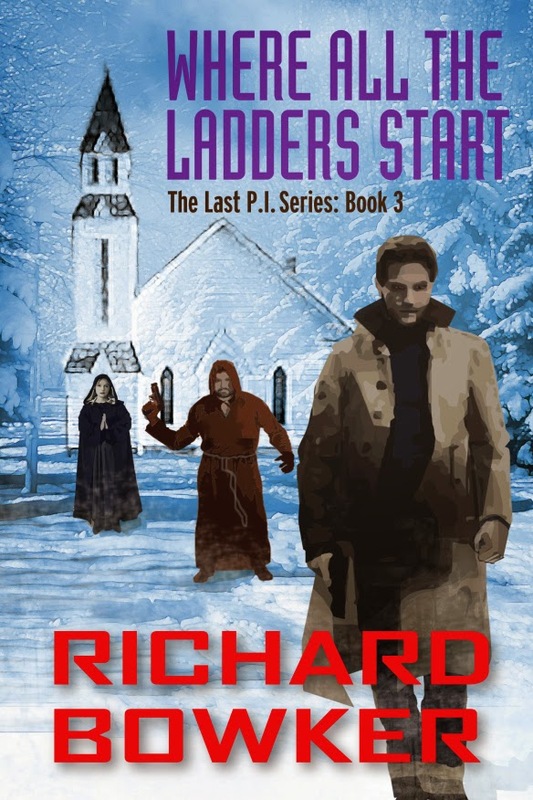 But the formatting is all new, far more attractive than the previous editions, and it boasts a gorgeous new cover by Chris Howard, whose other work you can sample here. 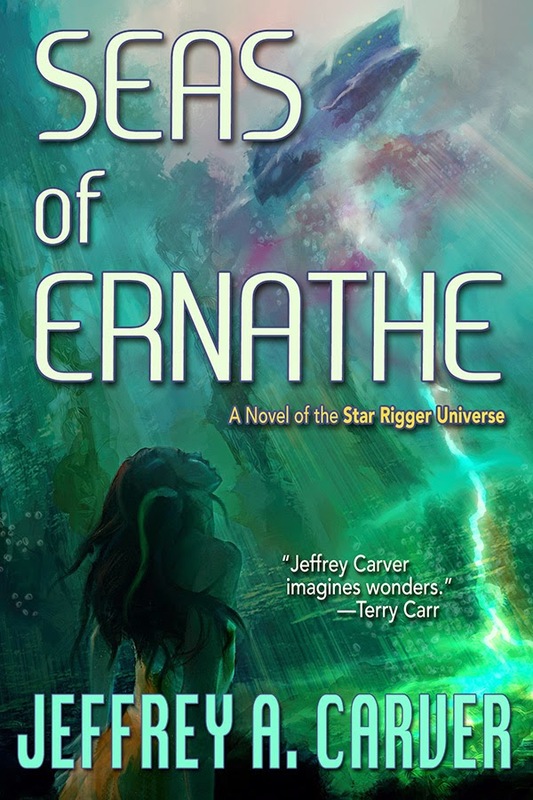 Seas of Ernathe was in fact my first venture into the novel form, though it tells a story set the farthest into the future of all of my Star Rigger stories. Whether that reflects my innate upside-down genius vision of the universe, or my essential backassward way of doing things, I leave to the reader to decide.